I fell in love with photography over 30 years ago because of the work from great landscape artists like Ansell Adams and Galen Rowell. I still love photographing nature and landscapes and I enjoy looking for locations that I can incorporate my brides and grooms into these beautiful scenes. This image was shot in the middle of the afternoon which is usually a difficult time for some photographers because of the harsh lighting. But if you know how to find the right location and then further enhance the image through Photoshop and other retouching techniques you can find beautiful light during anytime of the day. This image was taken at Nestldown Retreat near the city of Los Gatos, California. Even though I have been photographing weddings around the world for over 15 years, Nestldown remains my all-time favorite venue and I am honored to be part of their preferred vendor list. 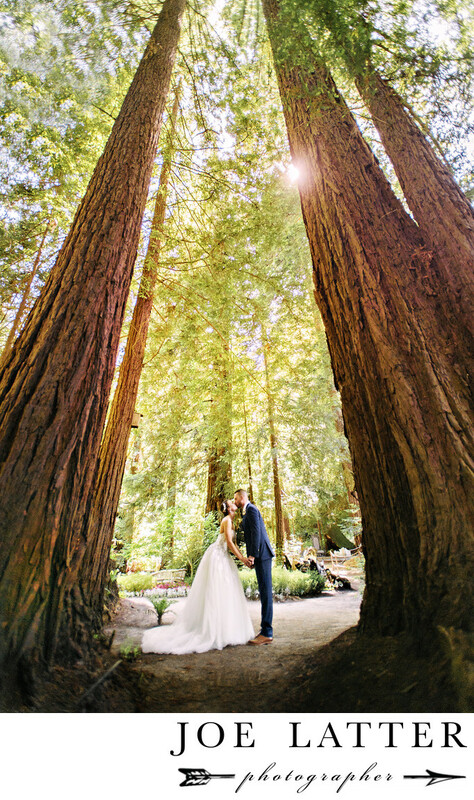 If you are looking for a magical, fairytale wedding that is nestled in the giant redwoods force then this is the perfect location for you… and I look forward to creating these beautiful images for you. Location: 22420 Old Santa Cruz Highway, Los Gatos, CA 95033.